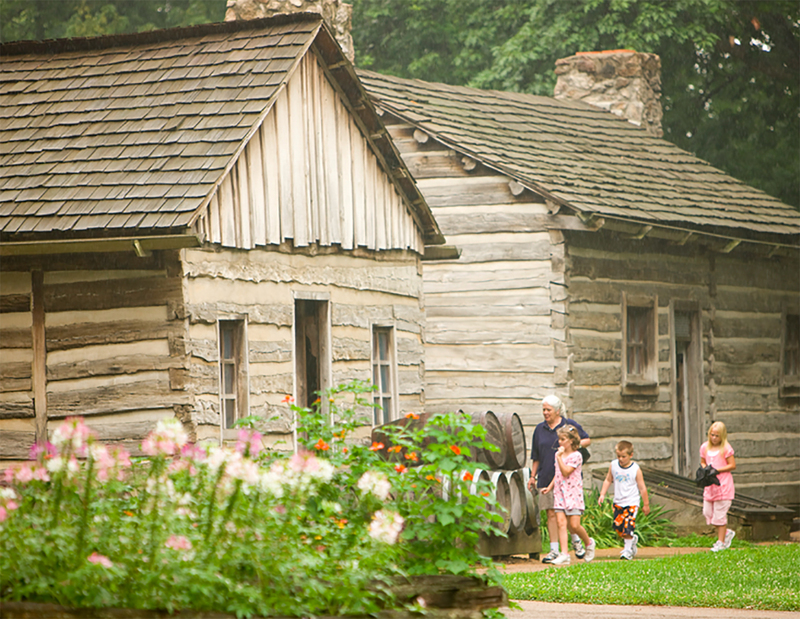 Located about 20 miles northwest of Springfield, Lincoln’s New Salem includes more than 20 reconstructed buildings and one original log cabin from Lincoln’s time. Lincoln’s New Salem, a state-run historic site that recreates the village where Lincoln lived as a young man, is Illinois’ top history site according to voters in a survey. The list of top state historic sites chosen by voters in the Illinois Top 200 project and cover more than 1,000 years of history, from Cahokia Mounds to Abraham Lincoln’s home to Route 66. The list also honors the state’s French heritage, industrial might and national leaders. Geographically, the sites range from deep southern Illinois to the prairies of central Illinois to Chicago’s South Side. No. 1 on the list is Lincoln’s New Salem, a state-run historic site that recreates the village where Lincoln lived as a young man trying to decide what to do with his life. Next comes Pullman, which is simultaneously a Chicago neighborhood, a national monument and a state historic site. It was an early planned community, the focus of a historic strike and an important manufacturing site. The John Deere site in Grand Detour and Lincoln’s Home in Springfield came in at 3 and 4. The Illinois Top 200 project lets Illinoisans vote every two weeks on the most inspiring leaders, greatest books, top businesses and much more. By the state’s 200th birthday on Dec. 3, voters will have chosen 10 favorites in 20 different categories – the Illinois Top 200. Voting in the next category, top scenic spots, is underway at www.IllinoisTop200.com . Nominees include the Chicago lakefront, Garden of the Gods, Starved Rock State Park and Allerton Park. 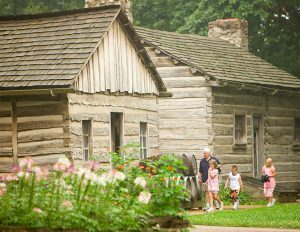 Lincoln’s New Salem – Located about 20 miles northwest of Springfield, the site includes more than 20 reconstructed buildings and one original log cabin from Lincoln’s time. Pullman – This neighborhood began as a first-of-its-kind planned community for the workers of the Pullman Palace Car Co. Its historic significance and buildings from the late 1800s earned it the status of National Monument. John Deere – Located near Dixon, this National Historic Landmark commemorates John Deere’s invention of the self-scouring steel plow in 1837, a development that changed agriculture forever. Lincoln’s Home – Abraham Lincoln owned only one home – a two-story house in Springfield that he bought for $1,500. It is now a National Historic Site. Cahokia Mounds –A thousand years ago, it was a thriving city. Today it’s a World Heritage Site and the largest pre-Columbian archaeological site north of Mexico. Route 66 – Route 66 started in Chicago and was the main road from the Midwest to southern California during the Great Depression and the car-crazy years after World War II. Old State Capitol –Abraham Lincoln gave his famous “House Divided” speech here and used it as his de facto transition office after being elected president. Fort de Chartres – Fort de Chartres was established by the French in 1720. It is a National Historic Landmark and home to the oldest remaining building in Illinois. Fort Massac – The French built Fort Massac in 1757 during the French and Indian War. Located in modern Metropolis, it was Illinois’ first state park. Reagan Home – Ronald Reagan’s family moved many times when he was a boy before settling in Dixon. Reagan lived in this house, now on the National Register of Historic Places, for three years. Among the sites that did not make the top 10: Nauvoo, once the headquarters of the Mormon church; Black Hawk, the park honoring the famous war leader and the Sauk and Meskwaki people of the region, and New Philadelphia, the first town registered and platted by an African-American.